Russian media has been trumpeting plans to launch two additional Lada-class diesel-electric submarines, two decades after the hull of the lead boat, the St. Petersburg, was laid down. Left delicately unstated in some of the press releases is that these new boats will lack the air-independent propulsion — or AIP — systems that were intended to be the class’s defining feature. Nuclear-powered submarines can easily cost four to eight times more than traditional diesel submarines — but they come with tremendous advantages in quietness, speed and range, plus virtually unlimited underwater endurance. Not only are air-breathing diesel engines noisier, but they require a submarine to periodically surface or snorkel to regenerate the air supply — placing them at great risk of detection. Still, economic and technological considerations dictate that most countries operate mostly or exclusively diesel submarines. Besides, a diesel sub’s short range is less of a problem when employed to patrol local waters rather than cross transoceanic distances. However, new submarines in the 1990s and 2000s introduced a variety of AIP systems that allowed them to operate more quietly, and with underwater endurance measured potentially in weeks rather than days — albeit only while traveling at very slow speeds. Germany, France, Sweden, Japan and China have all become major producers of AIP-powered submarines, and sold them to numerous additional countries. It made sense, then, that Russia — which historically has operated many diesel submarines alongside its nuclear-powered submarine force — would attempt to develop its own AIP-powered submarine. In 1997, the hull of the Saint Petersburg was laid down by the Admiralty shipyards, the first of what was to be the Project 677 Lada class. Two additional boats were laid down in 2005 and 2006, the Kronstadt and Veliye Luki, formerly named the Sevastopol. The Lada class was meant to be a fourth-generation successor to the extremely successful Kilo-class diesel submarine, more than 50 of which have been built in three variants and serve in the fleets of Russia, China, Vietnam, Algeria, Poland and Iran. The Project 636 and 636.3 Improved Kilo variants are amongst the quietest diesel submarines — one report claims they equal improved Los Angeles-class nuclear attack submarines in noise levels. In December 2015 the Kilo-class boat Rostov-on-Don was the first Russian submarine since World War II to fire in anger when it launched a cruise missile strike targeting Syrian rebels. Russian engineers promised that the Lada would produce 50 percent of the noise a Kilo does. The Saint Petersburg finally launched in 2004, and remains in service today as a test bed. The 67-meter-long submarine has considerably less bulk than the Kilo, displacing only 1,765 tons, and operated by crew of just 35 to 38. Six 533-millimeter tubes with 18 torpedoes or missiles constitute its armament, and unlike nearly every Russian submarine since World War II, it is of single-hulled construction. However, the key innovation was intended to be a hydrogen-oxygen AIP which, according to Russian press, converts diesel fuel into hydrogen for power. A Russian designer argued these were preferable to Stirling and MESMA AIP generators, which have moving parts that produce some noise, and the quieter hydrogen fuel-cell technology used in German submarines, which requires the storage of dangerously flammable hydrogen cells. This might seem an especially pressing concern given the frequency of deadly fires on Russian and Soviet submarines over the years. 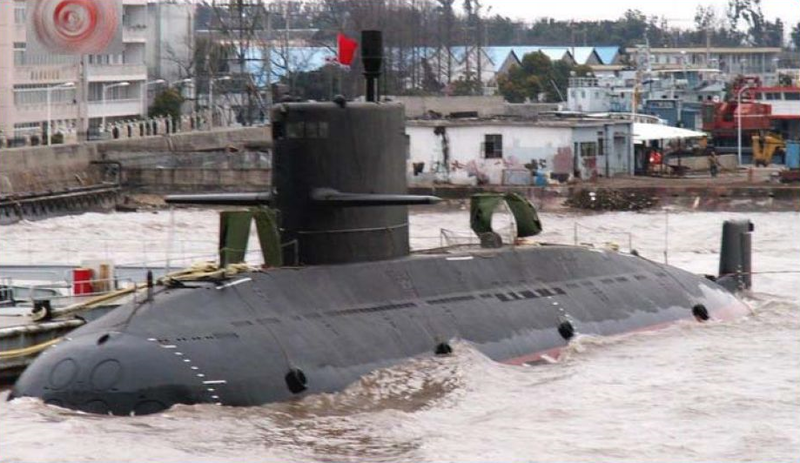 China, which operates Stirling-AIP-powered Yuan-class subs, declared it was interested in purchasing four Ladas. 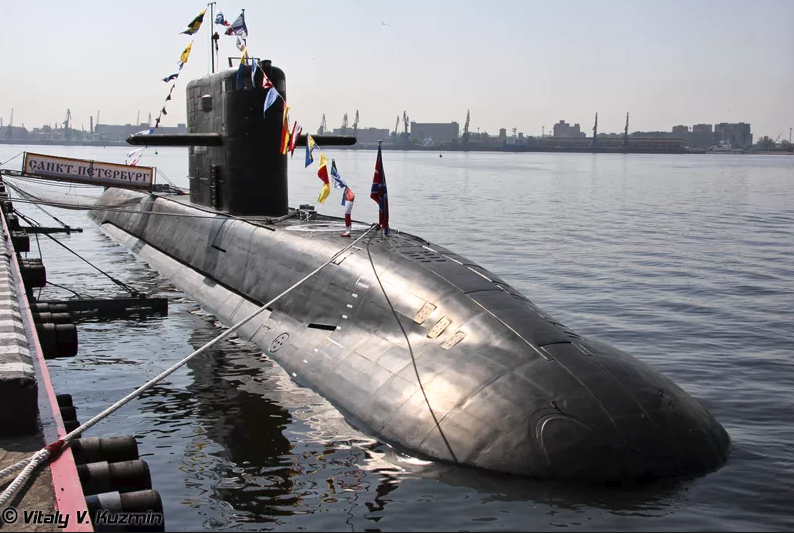 The Admiralty shipyard also floated the possibility of a smaller 21-crew export variant, the Amur-950, which attracted interest from Morocco and was offered to India for its Project 75I program. But the St. Petersburg never left its sea trials. A November 2011 article by the Russian periodical Izvestia reported that the St. Petersburg’s smaller D49 generators, combined with 2,700-horsepower motors, could only produce half of the power required. 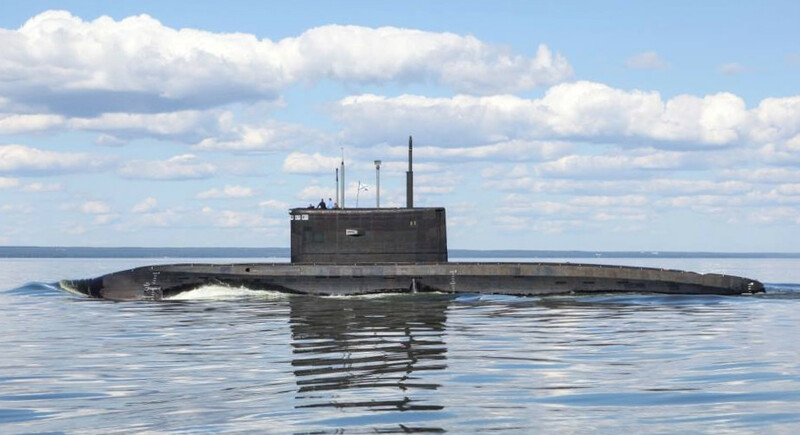 Though Russian officials have occasionally talked up the benefits of AIP-powered submarines, necessary research and development funding has been concentrated on two nuclear-powered submarine projects, the Yasen-class attack submarine and the Borei-class ballistic-missile submarine. In 2014, the Russian defense ministry announced it was going to pursue a “fifth-generation” AIP-powered Kalina-class diesel submarine to succeed a “fourth generation” that hadn’t materialized. Among the few details available concerning the Kalina is that it will be able to operate underwater for 25 days and feature a modular propulsion unit that “can be replaced at any stage,” suggesting they may begin service with conventional engines until effective AIP can be developed. Though some reports claim new propulsion tech is already well under development, a Russian officer in naval construction stated that a new AIP drive is only likely to come around in 2021–22. Ultimately, construction finally did resume on the Lada-class boats, with the Kronstadt and Veliye Luki expected to launch in 2019 and 2021 respectively — without AIP propulsion. After an announcement that production of the series would end after these two boats in 2016, Adm. Vladimir Korolev announced in July 2017 that a fourth and fifth Lada boat would follow — possibly equipped with AIP-powered propulsion, if it were available. The Kronstadt has already been fitted with two 1,250-kilowatt diesel generators and the same 5,500-horsepower DL42 motor as on the Kilo class. The two upcoming Lada boats will likely bring some new technologies to the table, including the Molniya anti-sonar coating — just not the extra-quiet AIP system intended to be their defining feature.